This photograph of "Dinah" was taken while her motel was still open. 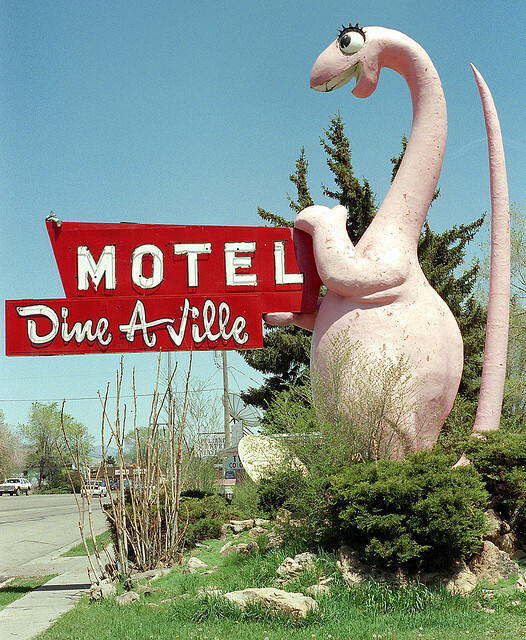 In 2000 after the Dine A Ville Motel closed, she was moved to the east end of town on U.S. Route 40, given a fresh coat of paint, and now holds a sign welcoming visitors to Vernal. Posted in Date Unknown, Retro/Vintage, TravelTagged neon, Route 40, signBookmark the permalink.